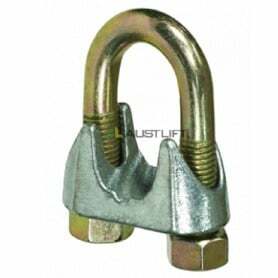 Customise your wire rope and other lifting equipment with our large variety of commercial fittings. All our fittings are made from the highest quality materials, to provide the strength and durability necessary on the jobsite. All About Lifting & Safety will help you find the ideal pieces of equipment, and all of their fittings, for any job. With a large range of sizes, we will have the right steel wire rope fittings to meet your needs. Our wire rope grips allow you to fasten the rope to any object quickly and easily. For instance, the AS gold tip thimble helps to eliminate the pressure at the terminal end of a wire rope that would cause damage. The wedge socket allows you to quickly grip the wire rope and lock it into place. Maximise your productivity on the jobsite with the best wire rope and commercial fittings. 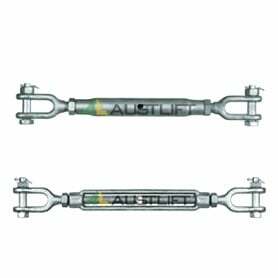 Always remember to not overload the turnbuckles, as this may cause distortion and will compromise the strength of the turnbuckle. If you’re not sure of the best commercial fittings for your job or project, then just contact our friendly team at All About Lifting & Safety for expert advice. 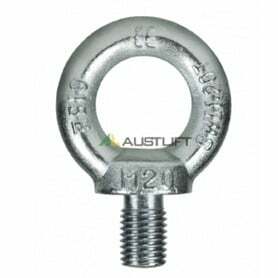 Eye bolts allow the operator to connect fibre rope wire to a load and should only be used for vertical lifting. Always ensure that the eye bolt is screwed all the way in; do not leave any of the threads exposed. Rather than connecting a hook directly to an eyebolt, it is recommended that you use a D shackle. Once the rope is connected, make sure that the angle is greater than 45°, as angles less than 45° will compromise the integrity of the equipment. For all your commercial fittings, check out All About Lifting & Safety’s full product line or contact our experts today.